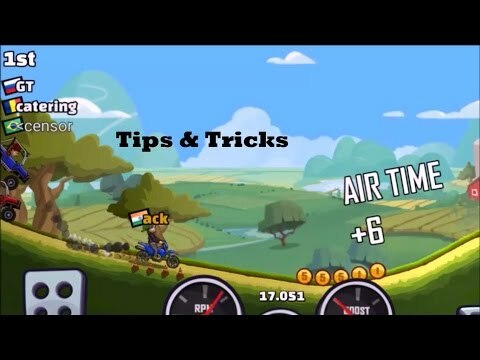 Hill Climb Racing 2 mobile game is a multiplayer racing game that is developed from the Hill Climb Racing sequel. The jeep-driving game was developed by Fingersoft and released on December 7, 2016. The genres of this game are Racing, Automobile, and Arcade. You can challenge your friends to beat your best times through 30 stages as you vie for higher leaderboard placements. It can be downloaded from both App Store and Google Play. Hill Climb Racing 2 features the Newton Bill character from the sequel alongside his counterpart known as Jill. The game involves racing over hills with different terrains where you can collect points and coins as you drive past them. The aim of every player is to try as much as possible to smash their previous racing record with every new race. The game also has great tricks that you can perform along the way as you drive using just the brake pedals and gas for guidance across the map. With continued playing, the player can unlock better new vehicles which enable you to pick more coins along the way. To make you look better, you can also collect new items. Hill Climb Racing 2 has an additional mode that did not feature in the earlier game in the sequel known as the Cup Challenge. In this mode, you compete with 3 other players. This is an aspect that makes this game more playable. There is some amount of skill and strategy that helps you progress faster. These help you to ensure that you don’t run out of fuel and to avoid breaking your neck by toppling you neck and dying. The player has to correct the trajectory of their vehicle in the middle of a flight off the top of a hill to avoid somersaulting or stalling. Balancing the brakes and gas delicately also helps you successfully barrel over a bridge that wobbles. As you continue unlocking newer vehicles, you realize that they drive quite differently. You start out with a jeep that is steady but very slow. The scooter, on the other hand, is light and is most of the time in the air. Then there is the furiously rugged and fast super jeep. When you unlock a feature, you are presented with a new challenge. The racing terrain in Hill Climb Racing 2 is quite challenging. All you need to do is drive successfully and complete your current level and move to the next. There is a variety of vehicles that you can play with as long as you unlock them. As you drive across the map along the roads, you can pick up points and coins which you can use to buy certain game items. You can invite your friends to compete in the cup challenge. Winning such challenges helps you to rise in the stages and become the top. Just like the previous game in the sequel, Hill Climb Racing 2 is a great game. It is addictive and fun to play. If you love racing games, this is one of the best games to download for free and start playing immediately.